They are crossing continents and climbing mountains, are hatching invisibly by the billion, and are carrying diseases that may be coming to a neighborhood near you. As ticks move into new areas and enjoy longer seasons, they are changing millions of lives, driving up healthcare costs, and infusing a simple walk in the woods or picnic in a city park with fear. Lyme: The First Epidemic of Climate Change is a disquieting look at how Lyme disease has proliferated in a warming world. In it, investigative journalist Mary Beth Pfeiffer combines new research with years of extensive reporting to show how human activities have propelled this growing menace, and how modern medicine has underestimated its danger. We sat down with Mary Beth to talk about Lyme disease, climate change, and why she has hope that we can solve this epidemic. Have more questions for Mary Beth? Share them in the comments below. You’ve been writing about Lyme disease for years. What first interested you in the topic? When did you realize there was a larger story worth investigating? I began to write about Lyme disease as an investigative reporter for Poughkeepsie Journal in 2012. I intended to write one or two stories about a prevalent local disease. I thought I would focus on its growth and management. But Lyme disease proved to be a story far beyond what I’d envisioned. I found a minefield of controversy with patients caught in the middle. Standard tests failed to diagnose many people with the disease. The risk of over-diagnosing people with Lyme disease was exaggerated at the expense of cases missed. And many people who remained ill could not get care, or insurance coverage for it, within the medical system. Does your title suggest that climate change caused this epidemic? 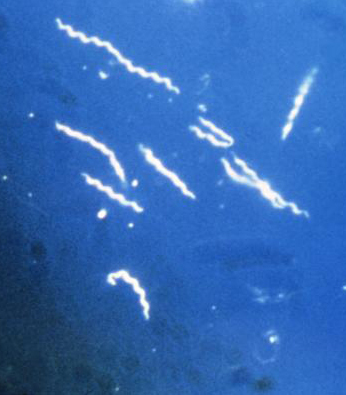 The pathogen that causes Lyme disease has likely been around for eons. A coiled bacterium very much like the Lyme pathogen was seen through a microscope in the gut of a tick encased in 15-million-year-old amber. A mummified hunter from 5,500 years ago was found to have been infected with the disease. Records show a smattering of cases in Europe in the early 1900s too. But Lyme clearly exploded in the 1970s—and has accelerated since—as the effects of a warming globe took hold. Ticks now live where they never could, and the one clear factor in their expansion is an increase in temperature. Ticks are climbing latitudes and mountains. Climate change most certainly is abetting this epidemic, along with other changes in the modern environment, including the fragmentation of forests and loss of species. Despite infecting millions of people around the world, Lyme disease earns relatively little media attention and funding compared to other vector-borne diseases like Zika virus. Why is that? Should we be investing more resources into Lyme disease treatment and research? Lyme has many manifestations and a poor test to verify infection. It has many symptoms, making it a difficult disease for which to engender empathy. Besides this, mosquitos fly, making the threat somehow more tangible. That may explain why mosquito-borne West Nile Virus receives about $7,050 in government funding per patient per year. Lyme disease research grants amount to $133 for per case. The CDC awarded $184 million in Zika grants in 2016 because of its potential to harm fetuses; that year, Lyme disease got about $3 million from the CDC. Research on both Zika and Lyme disease are urgently needed. 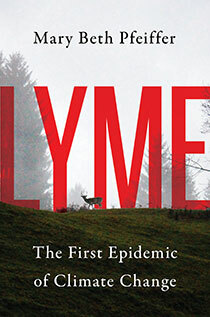 Some readers have told you they feel afraid after reading Lyme. Was this your intention? I certainly don’t want to unduly alarm but I do want to warn people. This is a serious threat that, for many, is literally close to home. Children from 5 to 9 years old are the most frequently infected. Ticks lurk at the edges of ball fields and in brushy places that children love to explore. Often the bite or the rash isn’t seen until the disease is advanced and more difficult to treat. You tell the stories of people who attribute their long-term illnesses to Lyme. Why is chronic Lyme such a controversial issue? Late-stage Lyme disease, as I prefer to call it, is controversial for one reason: we do not have a good test that proves people suffer ongoing infection. The standard diagnostic for Lyme disease, which is notoriously inaccurate at some stages of the disease, tells only if antibodies are present. Hence, it cannot distinguish between active or past infection. The prevailing view in American medicine is that short-course antibiotics kill the Lyme pathogen. Lyme specialists, using alternative tests that look for the organism’s DNA for example, dispute this. They have gained support from scientists at top universities who have found that “persister” cells survive even multiple and strong doses in test-tube and animal research. The scientific literature is rife with data on the failures of the CDC-endorsed test. For far too long, public health and infectious disease officials have sought to explain away its flaws. But a consensus has emerged: a better test that will accurately say who is and is not infected is desperately needed. This is at the heart of the controversy surrounding Lyme disease. You interviewed a large number of people for this book, including scientists, doctors, and Lyme patients. Is there a particular conversation or story that stands out to you? There are many: parents whose children were very ill and who could not afford care that insurance would not cover; parents who feared being reported to child welfare authorities for seeking care outside of traditional medical guidelines; people with late-stage Lyme disease who were told they were depressed and were routinely given psychiatric drugs. I interviewed a woman who went through 50 rounds of such medications before finding a doctor who diagnosed her with Lyme disease. Her before and after brain scans demonstrated to me what medicine has resisted: that longer and stronger antibiotics resolved the lesions on her brain that had cost her six years of her life. Do you have hope that we can solve the Lyme epidemic? I do. Medicine has tackled tough issues like this before. Witness the AIDS epidemic and the huge government response that turned HIV from a virus that killed quickly and mercilessly to a chronic infection that allows people to live normally. The difference with Lyme disease is that government has failed to make a meaningful commitment to tackling it. I thought I would write a couple of investigative stories when I decided to look into what was a common disease where I lived. But, quite shockingly, I found a huge patient population that was clamoring for recognition and care. I found that medicine acknowledged that many patients—perhaps 36,000 to 72,000 in 2016 alone—continue to suffer symptoms after treatment; but it had done little to figure out how to treat them. Essentially a controversy over whether patients remained infected had stymied research and harmed many people. What do you hope readers take away from Lyme? I hope that they come away with a healthy respect for and, yes, fear of ticks. We have to know their danger if we are going to protect ourselves and especially our children. I also hope readers realize how complex the Lyme picture is—complicated by political and medical controversy but also by the many other pathogens that ticks carry. My ultimate goal is to redefine Lyme disease, which has been minimized for many years because of the influence of early researchers who drew conclusions—on the Lyme test and on treatment—that today are open to question.